Alan had a chance to speak with Dr. David Traynor at the Chicago Midwinter. Both of them are dentists in Michigan, but one of them has a much better accent! 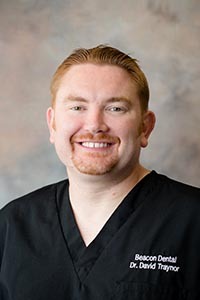 David grew up in the UK and shares some of his experiences about becoming a dentist in the U.S.! My favorite part of this interview is the 2 minute interlude where I get to explain what a podcast is to a dentist that saw our sign in front of the Premier booth! 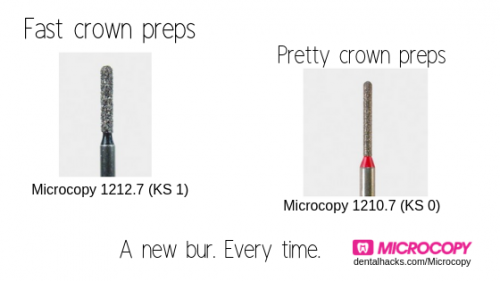 Microcopy Dental lets you choose the right bur for you. And they offer all kinds of bur shapes and types in single patient use packaging! Al has been prepping crowns with a couple Microcopy diamonds, the KS 1 and KS 0. Find your favorite shapes by exploring all of your options at dentalhacks.com/Microcopy!